It’s about that time! And by that, I mean time for me to renew my cell phone contract and upgrade to a shiny, new phone! For the past 4 years I’ve been a card carrying member of “Team iPhone”, beginning with the 3G model and most recently the iPhone 4. But now, with the iPhone 5 currently available, it’s not a lock that I stick with the iPhone. And the reason for that is because there is no untethered jailbreak for the iPhone 5 or iOS6 available. Y’all know I require my iPhone to be jailbroken. I’ve become accustomed to the 3rd party apps/tweaks and refuse to use a stock iPhone. They’re so boring. 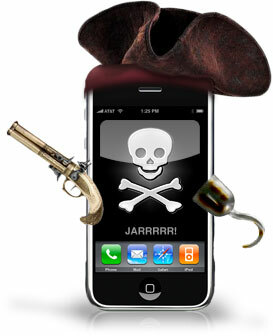 I had my 1st iPhone for just 1 month before I jailbroke it, and have remained so ever since! Apps are really huge for me. I currently have 95 apps installed. Yes, 95. That is a lot, y’all. And that’s just from the App Store. (That’s not counting Cydia’s 3rd party offerings.) Switching to an Android phone not only means I have to get used to a new operating system, but also have to find replacements to all the apps I’ve become familiar with over the years. That could prove to be exhausting. And, in some cases, futile, because I bet a lot of these apps don’t have an Android equivalent. The Apple App Store is the best, and it isn’t even close, in my opinion. Are Android apps expensive? Are the app developers quick to update? These are the type of questions I ask myself.